There may have been a slight shortage of Honeycomb-optimized apps to go along with the first round of tablets, but things are now starting to pick up a bit, and Google has now filled in one more gap itself. 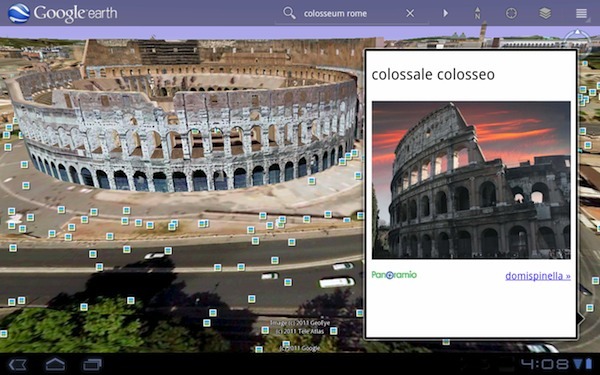 It’s just released a Honeycomb-optimized version of Google Earth, which brings with it support for fully textured 3D buildings that you can view from street level, as well as a new action bar on top that lets you jump between layers and other options. What’s more, Google has also now announced that its new Business Photos feature for Google Maps (Places, specifically) will begin to roll out next week, offering what’s effectively Street View for the inside of retailers and other buildings — with the owner’s permission, of course. Head on past the break for a demonstration of how it will work. Google Earth gets optimized for Honeycomb tablets, interior photos hit Google Maps next week originally appeared on Engadget on Thu, 05 May 2011 18:26:00 EDT. Please see our terms for use of feeds. Creative’s family of Bluetooth speakers got a few more additions today. The company unveiled the wireless one-piece D80, which for most intents and purposes, is identical to its colorful sibling the D100, save for a lower price tag at $50 and a loss of battery power. The $300 ZiiSound D5x, meanwhile, looks an awful lot like 2010’s D5, though this one plays nice with the newly announced D3x modular speaker and DSx modular subwoofer, both of which are priced at $150 a pop. The D80 is hitting this month and the ZiiSound’s various components will be arriving this summer, so don’t throw out last year’s models just yet. Press info after the break. 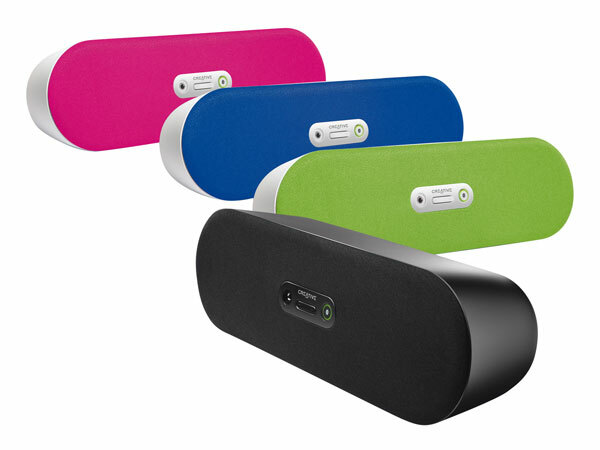 Creative’s new Bluetooth speakers sound vaguely familiar originally appeared on Engadget on Thu, 05 May 2011 17:51:00 EDT. Please see our terms for use of feeds. We’ve seen it powered down and had it dangled in front of us and now, four months after its launch, we’ve finally had a chance to play with a real, working Samsung Infuse 4G. This 4.5-inch superphone — the biggest Sammy has made to date — feels surprisingly light in the hands, despite its width. That’s largely thanks to its crazy-thin 8.99mm profile, along with a subtly textured backside. The Super AMOLED Plus display — the same kind found on the smaller Droid Charge — which promises to be brighter than Super AMOLED as well as easier to view in direct sunlight, is simply stunning. We were seriously impressed by the punchy colors and deep blacks, although that outdoor test will have to wait for another day. Blessedly, Samsung lets those vibrant colors speak for themselves — it loaded the phone with Android 2.2 and abstained from saddling it with its TouchWiz UI made its TouchWiz UI less intrusive out of the box. The handset packs a single — not dual — core 1.2GHz processor, but you won’t notice or care how many cores it has unless you’re a benchmark junkie — the phone launches applications briskly, while the touchscreen is responsive and always precise. We noticed nary a delay as we swiped among the seven home screens and three application pages. Speaking of speed, this is AT&T’s first device to promise max speeds of 21 Mbps. Samsung held its press event in a New York City restaurant with poor reception, alas, and we have a feeling the crawling rates we observed off-camera don’t do this phone justice. We’re walking out of here with one of these bad boys, and we’re stoked to fully put it through its paces over the next few days. We’ll be back with an in-depth review, but in the meantime, have a gander at the gallery of close-up shots below. Gallery: Samsung Infuse 4G hands-on! Updated: Unlike the Inspire 4G, Captivate, and Aria, the Infuse 4G enables app sideloading and features the “Unknown Sources” menu item in the settings. Check out a photo of the appropriate settings screen in the updated gallery. 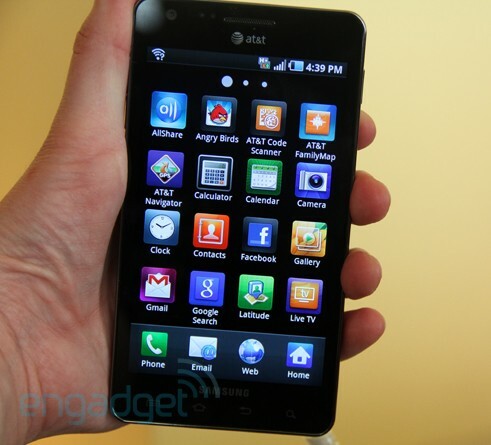 Samsung Infuse 4G hands-on (updated) originally appeared on Engadget on Thu, 05 May 2011 17:22:00 EDT. Please see our terms for use of feeds. This entry was posted on May 5, 2011, 6:38 pm and is filed under Mobility. You can follow any responses to this entry through RSS 2.0. Both comments and pings are currently closed.